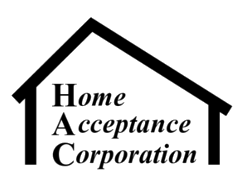 Home Acceptance Corporation has been in business for over 20 years providing financing and insurance. We have several options for those seeking financing: Primary housing, secondary housing, and even refinance. With licensed insurance agents on staff, HAC also provides customers with great coverage to meet virtually any need. At Home Acceptance Corporation, we take a broader approach to credit by analyzing multiple factors; thus increasing approval potential. We know that choosing a home is an important decision, so we're here to make it as easy for you as possible. Home Acceptance Corporation (NMLS #1151715).